I attended a book festival this past weekend run by a well-known regional writers group with a very good reputation for pulling in a crowd – be it for meetings, workshops or conferences (writer-related). This was their first kick at the can for a book festival (reader-related). I bought in to the idea; paid for my author’s booth early (so I got the early-bird discount but not the member discount since my membership is actually for one of the affiliate groups and not that specific group – okay fine) and proceeded to get really hyped about selling my recently launched debut novel. The committee advertised in their local region, on TV, with the radio, through several town web-event pages and via social media… sounds good, right? Their marketing plan was two-fold: buy local! and pick up some stocking stuffers for the readers on your holiday list. It was all very professionally put together. There were over 80 exhibitors, most of which were local authors and the rest related to the industry: small publishing houses, illustrators, libraries, editors, etc. Even the Mayor showed up for the opening ceremonies (yes, there was a stage where several local writing-related business persons got to talk themselves up, interspersed with readings from those authors selling their wares). Are you feeling as excited as I was? By the end of the day that excitement was gone and replaced with cynicism… the foot traffic had been poor (should have seen that coming with it being a University Campus Gym – no one wants to pay for parking or travel out of town if they don’t have to and the students are all in the middle of prepping for exams and have no money to spend anyway) and therefor the sales were dismal. I didn’t even sell enough books (and it wasn’t just me) to cover the cost of the booth… let alone the gas money for an hour and a half of highway driving to get there and even longer to get home again – yes, I got a flat tire 20 min. into my drive home, had to wait for the automobile club for half an hour and then was told I couldn’t drive the highway to get home because spare-tires were not made to travel above 80 km/hr (50 m/hr) and so I had to use local roads. It took me nearly 3 hours to get home again. Now, if it hadn’t been for two wonderful inquiries into my editing services and my first time client discount offer, I might have said, “Never again.” However, should those two inquiries turn into actual jobs then I will have to admit that the trip was worth it. But now I have to hound these poor souls looking for professional help with their manuscripts and as a rule I don’t like that kind of aggressive salesmanship. So what does all this say to me? 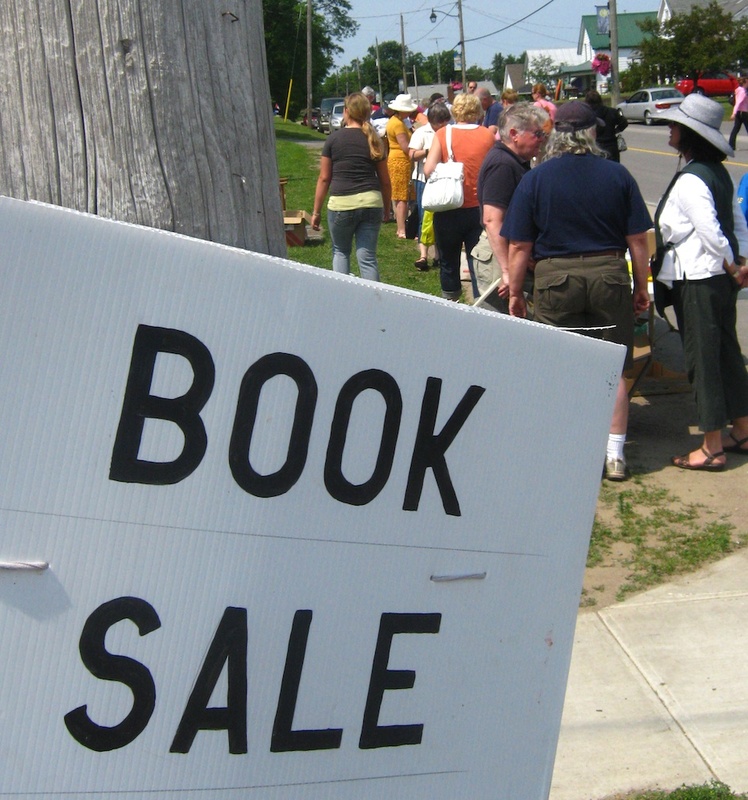 Not that readers don’t like a deal (because most of us had our books on sale that day). Not that there isn’t a market for female sci-fi writers (that stigma is being erased more every year). Not that people don’t enjoy reading as much as they used to (book sales in general show that even though e-books are incredibly popular they still don’t out-rank print sales… yet). People are tired/lazy and don’t want to make the trip out of town just to spend money. People don’t want to pay for parking. People are busy or simply don’t want to brave the elements if they don’t have to. How do you deal with this reality? I feel your pain. I too was disappointed. Extremely disappointed. I sold three books, two to people I know. That’s actually 3 more than some sold so I guess I should feel good. Not really. Murder mystery is usually a good selling genre. I had a number of people stop, read the back and say “I really like this type of story.” Then they left without a purchase. Really? If you like that type of thing, why not buy it? It wasn’t expensive. I definately did not make enough to cover the cost of the booth or travelling there. Would I do it again. Sure, why not? It gets my name out there. Sometimes the social aspect is just as important – to a point. Have to make some sales after all. With luck, if they do it next year, it will be at a venue more suitable for walk/drive by purchasers. I think the biggest thing was the location – too remote and too costly for the average browser. I’m not sure if they advertised the free door prize draw or the fact that many of the booth participants would be holding their own free holiday draws but free stuff usually brings in more people that what we had!